Dr Wilfred Ndifon, the Coordinator, National Blood Transfusion Services (NBTS), Calabar Centre, on Friday, said voluntary blood donation would reduce risk of heart attack by 80 per cent. Ndifon, who made the assertion in Calabar during a blood donation organised for policemen and officers in the state, also said it would reduce the risk of having cancer. According to him, voluntary blood donors usually record low risk of heart attack, hence the need for healthy individuals to donate at least 500 milligrammes of blood four times a year. He said that blood donors usually look smart, stronger, agile and flexible. Coordinator said that when you donate blood four times a year, the level of iron in your body will be low and the risk of having heart attack is reduced by 80 per cent. He added that when you donate blood freely, the risk of having cancer is 30 per cent. Ndifon said that blood donated by the police officers would enable the NBTS to save it for those who might be in urgent need of blood during casualties. He added that the force had lost lots of its personnel due to the lack of blood in the blood bank. 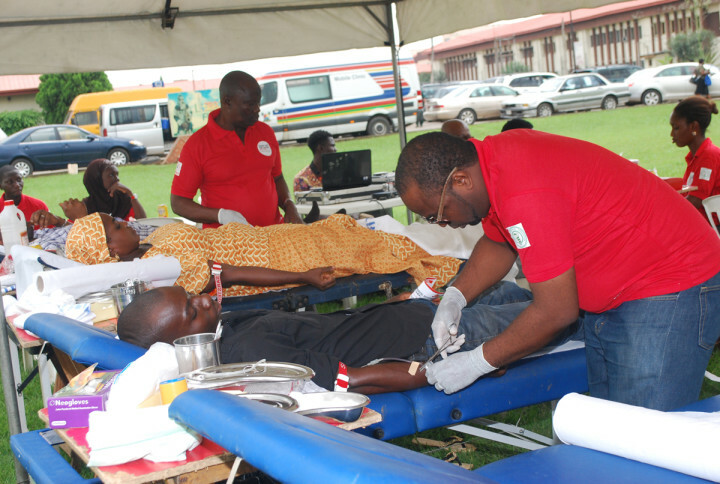 The Commissioner encouraged the public to save as many lives as they can by donating blood.